Stripes, stripes and more stripes…I cannot get enough. I don’t know what it is that makes me want to double this top with more stripes. Despite the scorching hot temperatures, my office is still nice and chilly, so I am dressing more for the office than the outdoors. 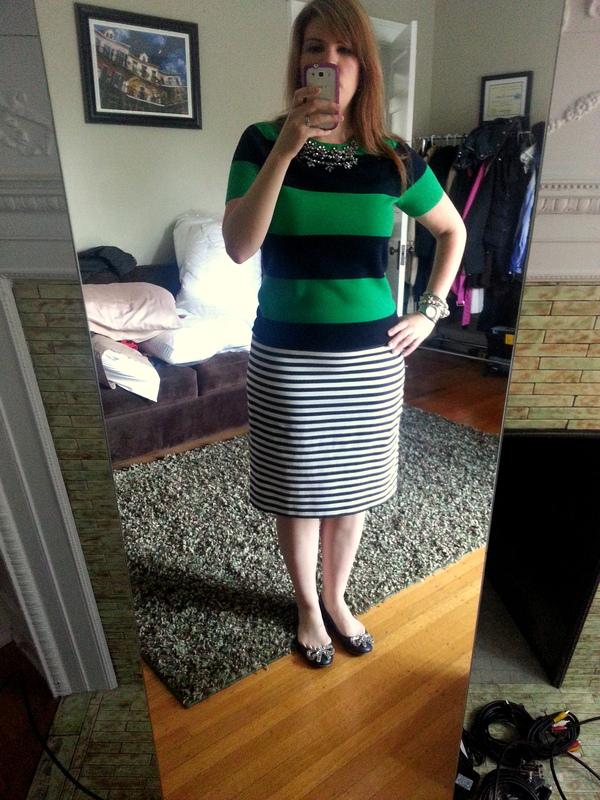 I don’t have much else to say about this outfit except…I love stripes 🙂 And my J.Crew Bijoux ballet flats. I’m running out of steam for the day which is why this is short and sweet but would love to hear what you think of the outfit 🙂 Thanks for visiting! That sweater is so pretty! I regret not snagging it when it hit sale recently – hopefully it may come back?